It must be August. The Daily Mail is hunting for the Yeti again (they sent their own expedition out in 1954) and mathematical formula season has begun in earnest. PR guru Mark Borkowski’s “fame formula” was gushingly reported in the Telegraph, the Express, the Star, OK, Channel 4, ITN, and more. 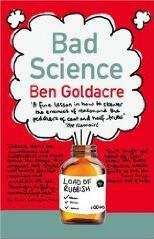 The Guardian were lucky enough to obtain the rights to extract his book at length, focusing on the formula. I trust the deal permits me also to reproduce large tracts of it here. If Borkowski wishes to say that event-related fame declines rapidly with time, then he could just say so, and nobody would be desperately surprised. We should be clear: even if we allow for its disappointing lack of ambition (because all it says is that event-related fame declines with time), even if we generously disregard the pointless circularities in the definitions of its terms, this formula still fails, entirely on its own terms, to make any sense at all. That doesn’t cover it. As time tends towards zero, or rather, as the value for T approaches 0, fame is approaching B + (1/0) + (1/0), so the fame arising from any fame-event, as you get closer to it, tends extremely rapidly towards infinity, which is a very big number indeed. Hang on: two numbers, both tending rapidly to infinity, both added together. If I throw a poo at David Cameron tomorrow, under the terms of Borkowski’s formula – what is the point of it if it does not work as a model? – in the moments after the poo leaves my hand, I seem to be more famous than any other person alive, anywhere in the world, my fame tending towards infinity, eclipsing any baserate fame (B) for any person alive. At the other end of the scale, what if T is a large number? At the end of the universe, when the Sun has exploded, when humanity no longer exists, George Clooney will still have his current level of baseline fame, B. Nothing will change: imagine that. In fact, imagine, only 400 years from now, in the year 2408, when whole new unimaginable varieties of entertainment have risen, and fallen, alongside empires, cultures, religions, perhaps the very notion of fame has changed, but George Clooney still has his current level of baseline fame, B, just as the superstars of 1608 are household names today. This isn’t just mathematically crass, it’s historically ignorant. These formulae are ubiquitous: the happiest day of the year (sponsored by Walls ice cream); the equation for beer goggles (Bausch and Lomb); the most depressing day of the year (sponsored by Sky travel). They are wheeled out endlessly by PR companies as a way of getting their brand into the newspapers, because they know what newspaper editors will go for, like the Yeti. They know they hardly understand maths, or science, but that they think it’s clever, that all science is arbitrary, that boffins just make stuff up, so you might just as well too. They add nothing to our understanding of any subject, and as for making maths “accessible” or “cool” – like Christian rock, perhaps – they don’t do anything for anyone, if they’re just plain wrong. To give him credit he doesn’t deserve, that the formula blows up at T->0 isn’t the end of the world. It’s okay just to have an asymptotic fit. In fact if it really does go as 1/T and not an exponential then that suggests that fame actually decays slower than you might think. Of course none of this makes up for the unforgivable pointlessness of the exercise. Yep, great post ; and great ‘poo’ usage, on all levels. Sorry – I can’t accept your statements on trust. Throw some poo at Cammers and we’ll talk. Maybe I have a mutant copy, but this article isn’t in my paper version of the Guardian, though it is available in the on-line version. And it is critical of a previous Guardian article. Odd? “Great post, Ben” – and important, too. That penultimate sentence really highlights why junk science is actively dangerous, in damaging the public’s perception of the real thing. I agree. I’ve copied & pasted a bit from that last para so I can quote it elsewhere on the internets. @DaveHolter: “Maybe I have a mutant copy, but this article isn’t in my paper version of the Guardian” Nope, ’twas missing from my copy too. I had to skip that tricky, although frightfully clever-looking maths. But I think I got the gist of it: according to science George Clooney will always be famous, but that’s not true and so science is flawed and so creationism is the only sensible option. Right? If we were kind, and defined the function as a function of integer variables, so T is a positive integer, we would still have a load of crap…. Look down the picture menu on the right, when you see Nicole Kidman you know you’re there. What happened to the “Bad Science” link on the Science page? I hate having to scrabble around to see what the subs did to the original copy. Not that this appears to be on GU yet. My favourite recent story of this nature was the “perfect voice” formula; research done for the post office comms network, if memory serves. They took a load of c’leb voices and played them to a test group, who then marked each voice in various criteria. The data was then crunched and a formula arrived at. Said formula was then used to digitally produce a voice that was much less interesting than the gifted orators used in the research. I likened it to marking up several colours in various criteria, and using the data to “mix the perfect colour”, which as any fule kno is brown. I did email the chap to see where the important psycho-linguistic research was being published but, ah, he never replied. I published a little poston Friday afternoon asking why these businesses don’t ever conduct and publish (or sponsor) a proper study. I reckoned they would still get publicity, but without making the public think that scientists are wasting their time working out the perfect bacon butty when they could be doing something a little more worthwhile. When I searched the Apathy Sketchpad blog, I found at least one PR firm that had done so. My question is – if they can do it, why can’t the others? Unprofessor Coghill made me want to set up a laboratory for the provision of shoddy research to back up whatever claim anyone paid me for. I’d run it for a year or two and then go very very public about it all. All I’ll need is a million quid an legal representation. This statement was not based on any research I have done or in which I have been involved. I did not devise this formula, and indeed had asked not to be associated with the formula, which I regard as meaningless. The formula, like all the quotations attributed to me, was devised by the PR company responsible for the story. The press release was put out without including changes I had requested, without my being shown the final version, and without my being informed that it was going out. I had been asked to comment on the study. None of my comments or my views on the plausibility of such a formula were included in the press release. Any queries about this item should be directed to 3 Monkeys Communications, Axtell House, 23-24 Warwick Street, London W1B 5NQ. In other words, it was nothing more than astonishingly lazy journalism fuelled by a blatantly deceitful PR company who, of course, cared nothing about science but everything about helping their client sell telecommunications services. And this sort of rubbish ends up giving academics (and academic disciplines) a bad name among people who know enough to see through the “formulae” but not enough to understand the dark arts of public relations. Wasn’t all this shite with bad formulae kicked off by the Drake equation?